It may be getting colder and darker outside, but the November skies are full with fireworks and Christmas lights. 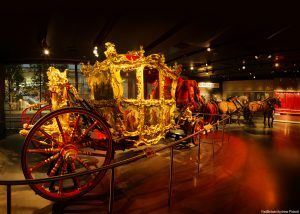 The streets of London will be filled with a procession of floats, marching bands and dancers at the Lord Mayor’s show. 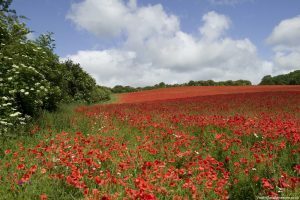 Streets around the country will be filled as commemorative events take place to mark the historic 100th anniversary of the end of the First World War. Harry Potter fans will get their fill when the new Fantastic Beasts movie opens this month. They will have the chance to see Hogwarts in the snow. Remember remember the 5th of November. There are celebrations everywhere to celebrate Guy Fawkes but there are some celebrations that are more than your standard firework display. 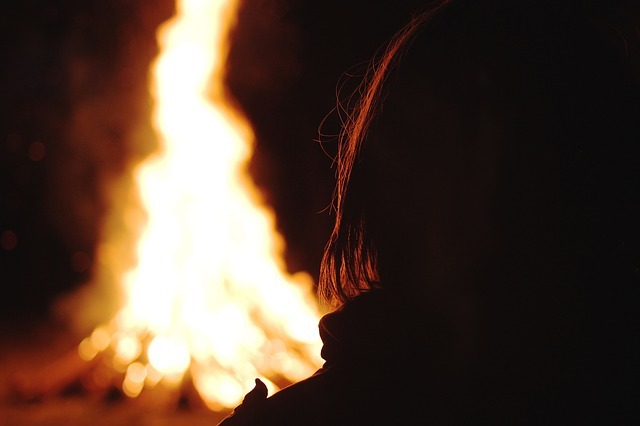 The biggest Bonfire Night celebrations in the UK take place in the small market town of Lewis, close to Brighton. Lewis Bonfire Night pretty much takes over the whole town with up to 3,000 people taking part and 80,000 people descending on the town to join in and watch. There are bonfire societies who each put on their own parades and displays. Guy Fawkes is thrown on the fire and you can see burning crosses as well as fireworks and bonfires. Head down to Ottery St Mary in Devon and witness the even more extreme Tar Barrels event which is said to have originated in the 17th century. Barrels sponsored by seventeen of Ottery’s central pubs are soaked in tar on 5th November and lit outside each pub. The flaming barrels are then carried on the backs of local people through the streets of Ottery St. Mary. 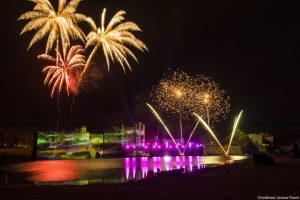 If that all sounds a bit too hectic then join the festivities at Leeds Castle where 25,000 starbursts will fill the sky above the Castle for the biggest firework display in the South East of England. Fireworks display seen from across the moat at Leeds Castle near Maidstone in Kent, UK. This 800 year old custom is a big annual event in London. Each year a new Lord Mayor of the City of London is sworn into office with and the celebrations to mark their make up ​​his or her inauguration. ceremony​​. This event has changed its format over the years and now is known as the Lord Mayor’s Show. Watch the procession, book a Grandstand seat, soak up the festival with rides, food, live entertainment, music and more fireworks. It’s a great event to witness if you are visiting London. Combine it with our ​​tour of London​​. 11 November 2018 marks the 100th anniversary of the signing of the Armistice – the end of the First World War. On 11 November 10,000 members of the public will be able to pay tribute to those that served in the First World War when they march in solemn procession past the Cenotaph in central London. There are many commemorative events happening across the country. So find out what’s going on where you are on Armistice Day. View across a field of red poppies in Gloucestershire. This month Winter Wonderland takes over Hyde Park in London with ice skating, festival stalls and food, alpine bars and Santa’s grotto. However, you don’t have to visit the capital to enjoy the festivities. 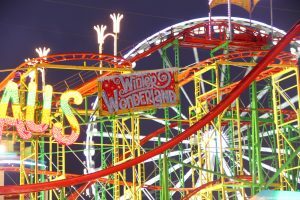 There are Winter Wonderlands around the country, with big events taking place in Cardiff, Nottingham, Bournemouth, Manchester and Yorkshire. We offer tours in all these places so make sure you find a local Blue Badge Guide to show you around. Our guides can tailor make a tour for you so you see the best of a city. Find a guide. Harry Potter films continue to enchant viewers of all ages across the world. This month Potter fans can finally see the second Fantastic Beasts movie. In the run up to Christmas why not also visit the Harry Potter Warner Bros. Studios which have had a magical Christmas makeover. Expect to find Christmas trees, Christmas feasts, fireplaces lit with special effects and of course lots of snow. All the exterior locations from the Harry Potter movies were shot in the UK and we have expert Harry Potter Guides who will take you on a walk in the character’s footsteps. 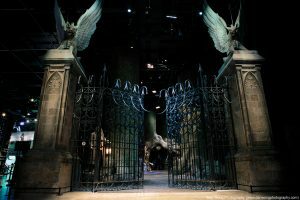 Read all about our Harry Potter tours.